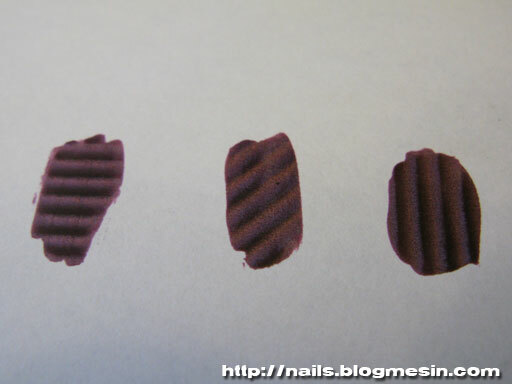 This is just a quick post with some nail polish swatches. 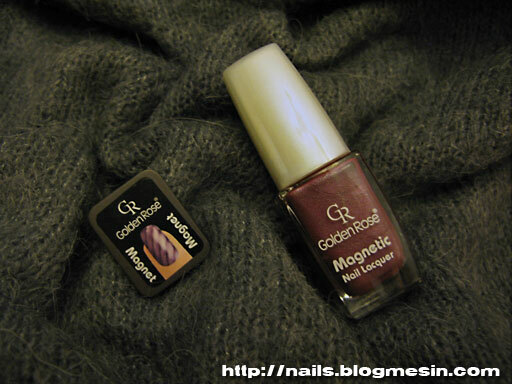 A while ago I got a present – bottle of Golden Rose Magnetic Nail Lacquer number 05. I was posting about this polish HERE. Yesterday I was visiting my friend who is a happy owner of another colour from this collection. 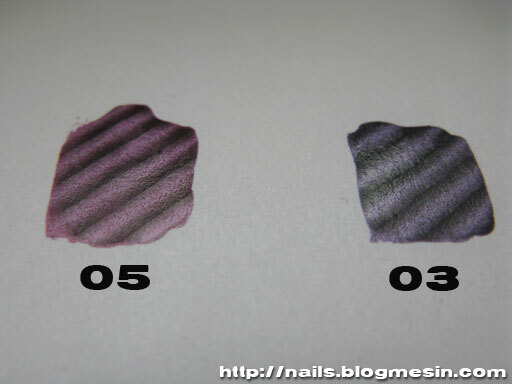 We were comparing the polishes and here are the swatches. 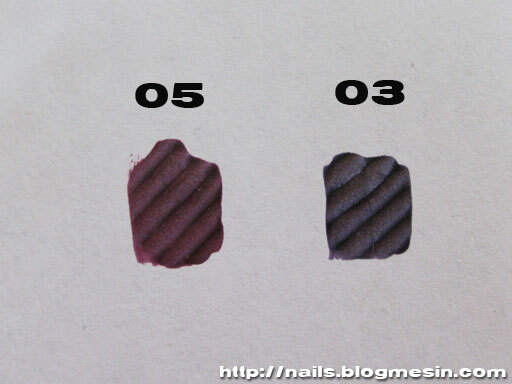 There are two colours, number 5 and number 3. I was trying to make as good photos as I can, but I think in reality colours are a little bit different than on the swatches here. Colour of this type of polish also depends on the angle and light becouse it has some metallic dust. Both photos I took in a daylight. On the nails this two colours look very similar. I think that 03 gives a little bit stronger stripes effect. I must say that both polishes are lovely. I will try to get more of them becouse I definitely love this magnetic effect!